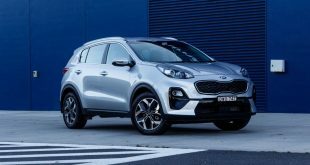 Manufacturers used to be ruthless when it came to their entry level models, stripping out everything but the bare necessities to keep prices approachable. 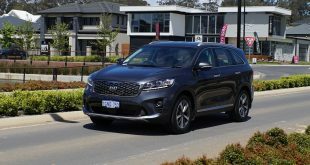 Thankfully the passage of time has marched on and the dark days of wind up windows and zero air-conditioning are well and truly behind us, budget cars are getting good, really good. 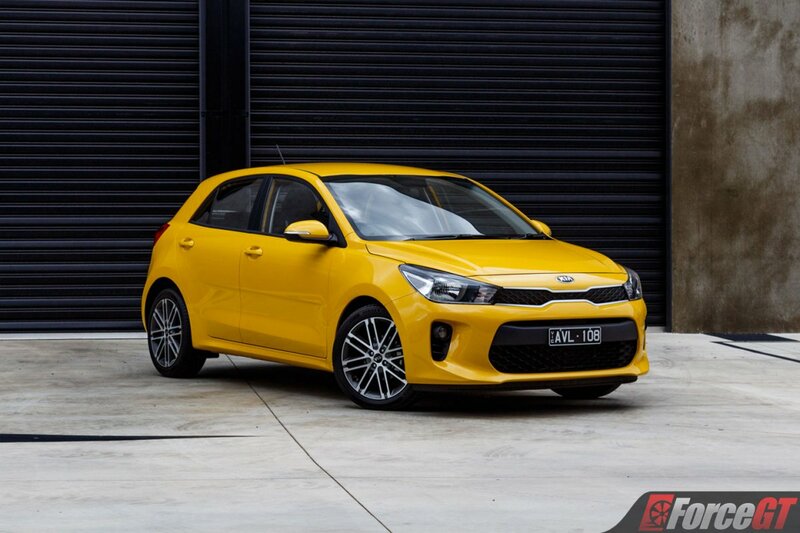 Kia’s offering into this segment falls to their popular Rio which comes in 3 grades: S, Sport and GT-Line. 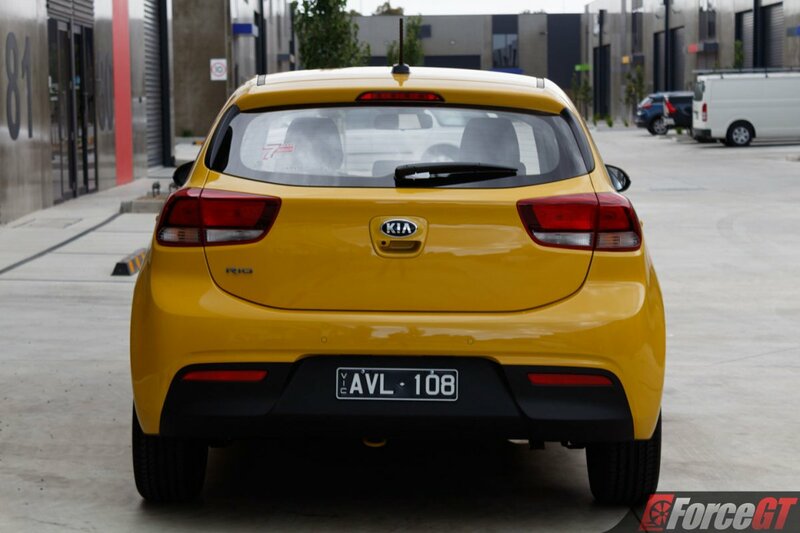 And what we managed to snag was the mid spec Sport starting at $20,090 plus on-road costs. 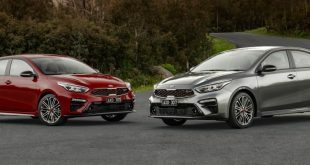 For the money you get a rather handsome looking body with European design elements tied in with Kia’s own design language. 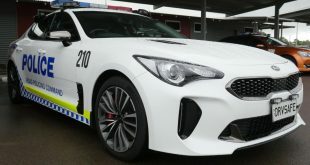 Up front the tiger nose grille is flanked by the headlights with the halogen daytime running lights mounted into the sports styled front bumper. 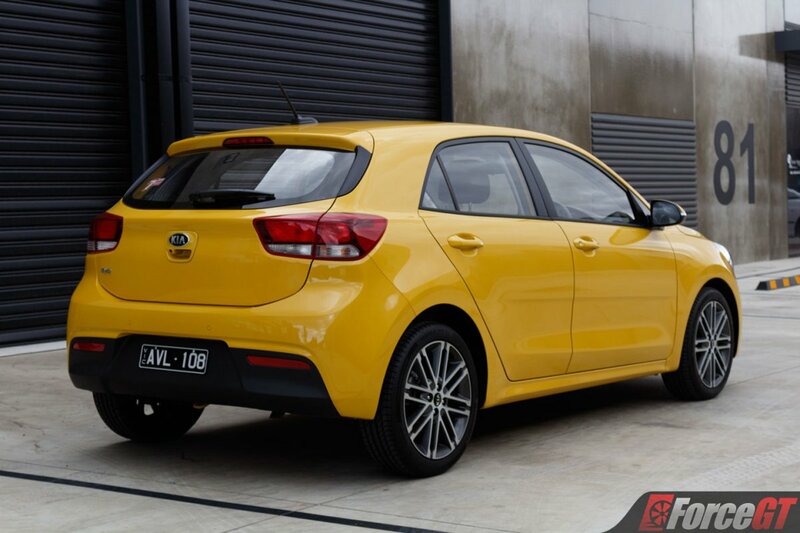 Alloy wheels measuring 17 inches fill the guards with a neat and tidy rear end wrapping up the whole package. 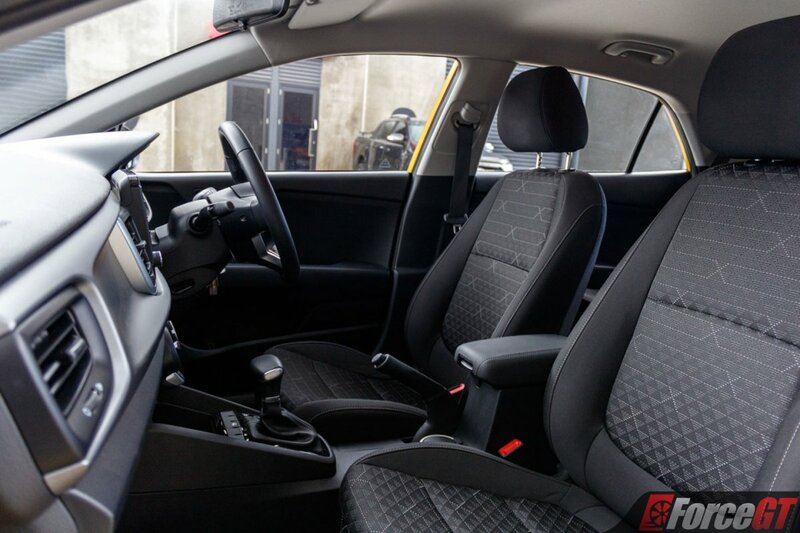 Keeping costs down usually has the interior take a hit in the way of material choices and that’s true for the Rio and it’s rivals. 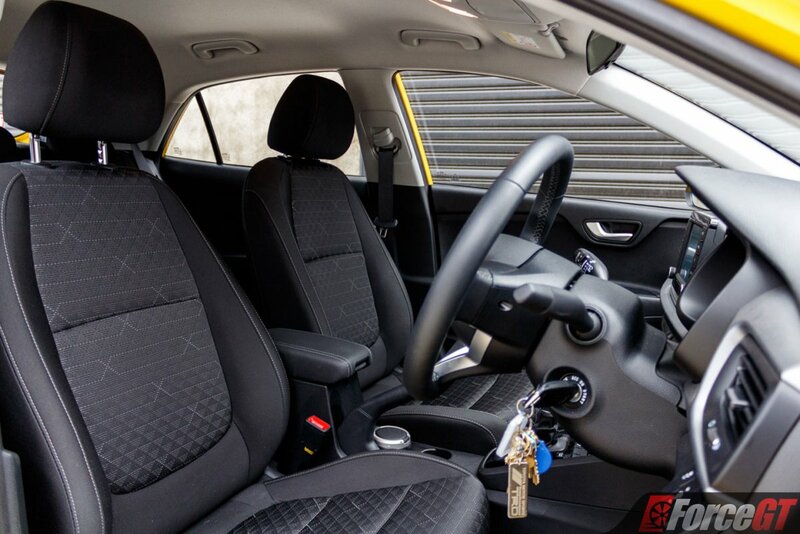 Leather has been used sparingly, limited to the frequently touched surfaces of the wheel, gear selector and center console arm rest. The door trims are entirely plastic with no padding used for the arm rest making it less than an ideal position to place your elbow. Everything is well built and looks nice too. 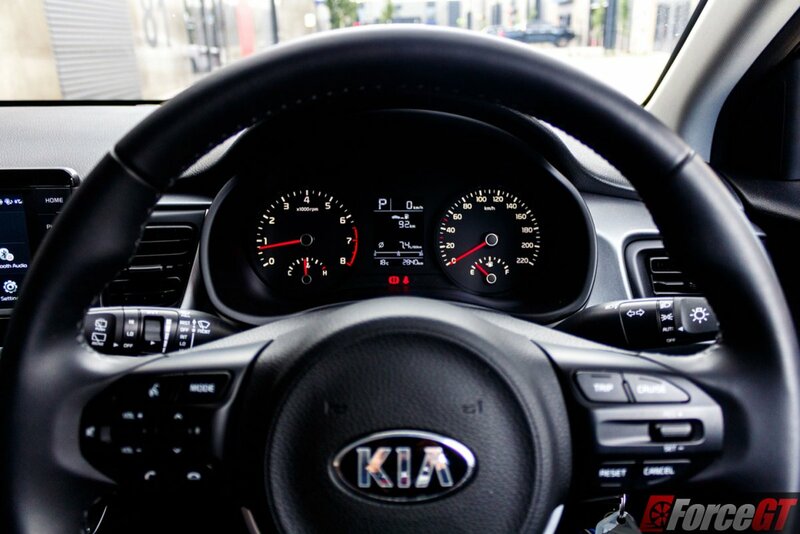 In Sport trim Kia bring their sport steering wheel with phone, audio, cruise and trip controls. 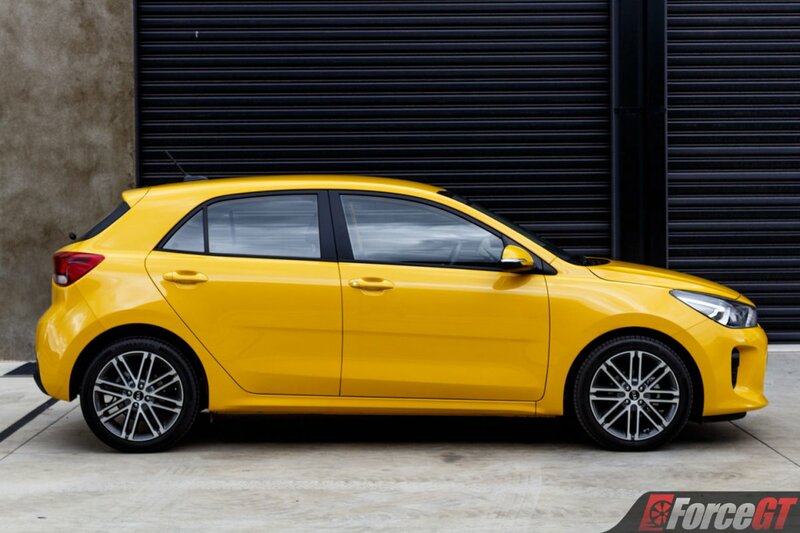 There’s some clever design infused inside making the Rio practical, too. Just below the air-con controls sits a small bench that’s the perfect place to store your phone keeping the larger pocket below for other items. 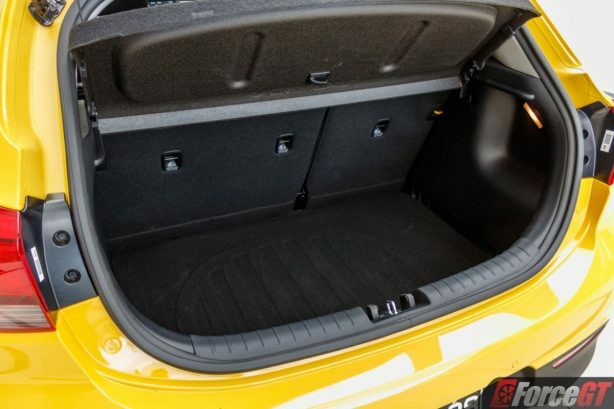 Somewhat of a rarity on modern cars, the Rio actually comes with an ashtray that slots into the center console cup holders and there’s extra storage in the door pockets as well as behind the seats. 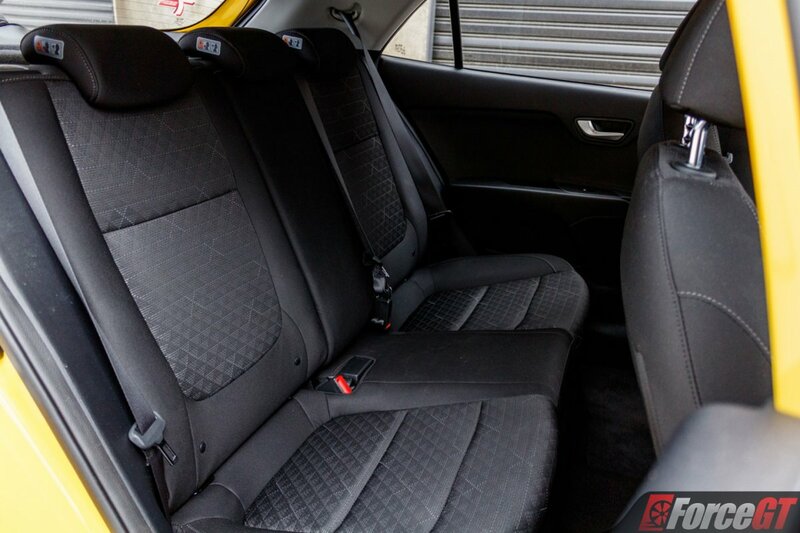 In the back you’ll have no issues getting two adults in there with adequate head and leg room, three is possible for short trips but best avoided. ISOFIX mounting points are available for both the rear seats which split 60/40 when dropped down leaving a flat boot floor for bulkier items. That’s 980L of cargo capacity or a full sized suitcase friendly 325L with the seats up. Overall visibility is excellent with only the A pillar limited by the side mirror mounting plate. A reversing camera feeds into the decently sized 7-inch touchscreen to make backing out about as simple as can be. Unfortunately there’s no satellite navigation or digital radio but you do have both Android Auto and Apple CarPlay which make great substitutes. The sound system is handled by a total of 6 speakers, two up front with two tweeters and two in the rear, overall sound quality is adequate but will distort when pushed loud. 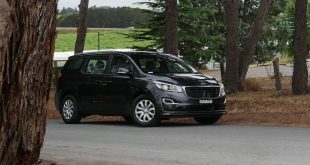 Connecting your phone is a walk in the park as long as you are actually parked – the software won’t allow anyone to connect unless the handbrake is on. 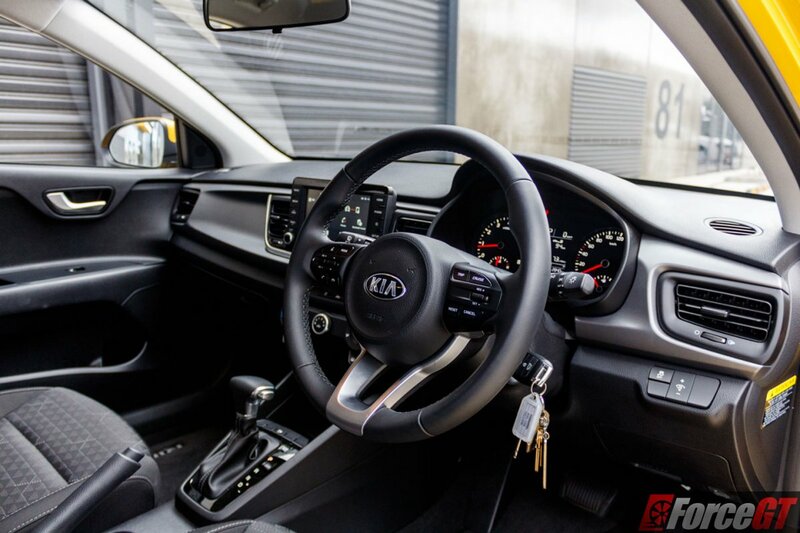 Surprisingly, the Rio misses out on a Kia specific feature found in other models where the trip display will show what position the lights or wipers have been set to which was a minor disappointment as it’s such a great feature to have. 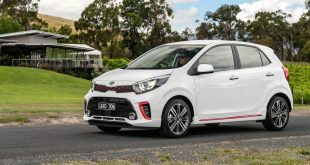 When it comes to grunt the Rio is more of a piglet than a full blown boar, as the normally aspirated 1.4-litre 4-cylinder engine has just 74kW of power at its disposal once revved out to 6,000rpm and torque maxes out at 133Nm at 4,000rpm. For the inner city where speed limits rarely exceed 60km/h it’s fine but out on more open roads the lack of power becomes apparent. 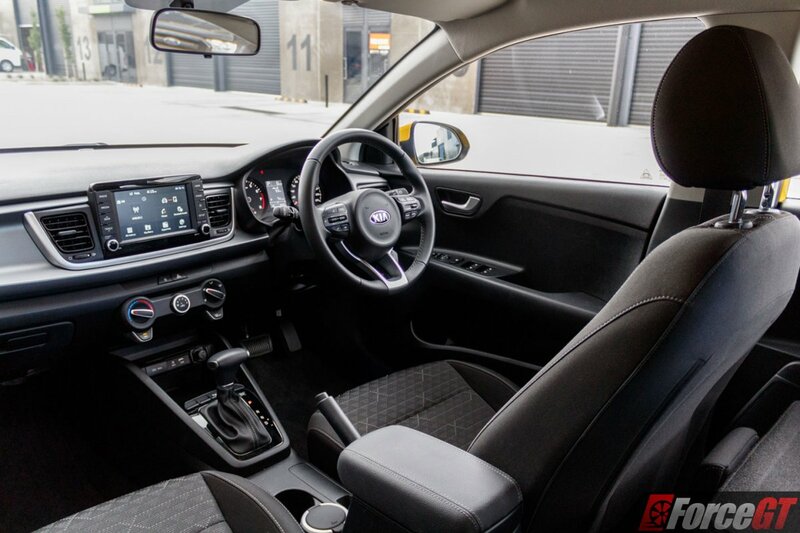 The 6-speed automatic gearbox does everything it can to make the most of the available power and its an improvement over the old 4-speed automatic yet doesn’t solve the fundamental lack of power. 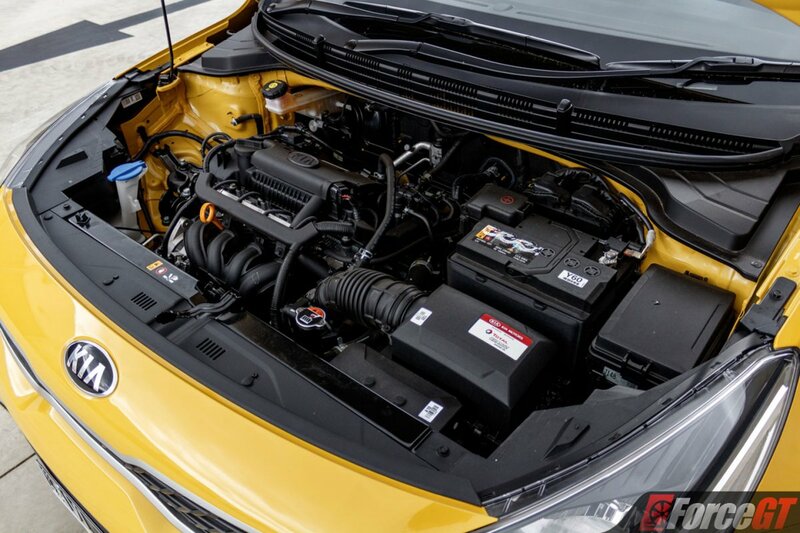 The benefit of a small engine is usually excellent fuel economy however with the Rio you’ve got to be aggressive on the throttle to keep up with regular traffic and that hinders efficiency. The official rating of 6L/100km came through as optimistic with our test returning 7.4L/100km, which is okay but not great. 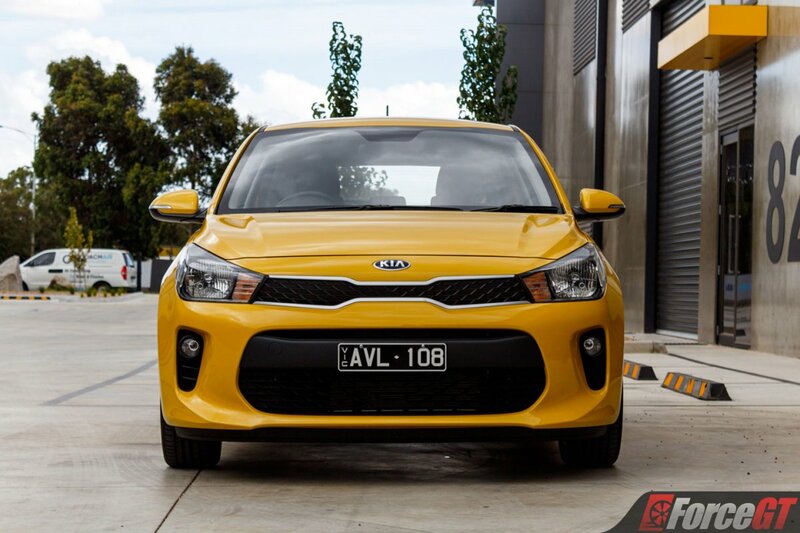 Handling in the Rio is typical of almost all small cars, light and nimble on its feet and can even be a bit of fun on tight and twisty roads. 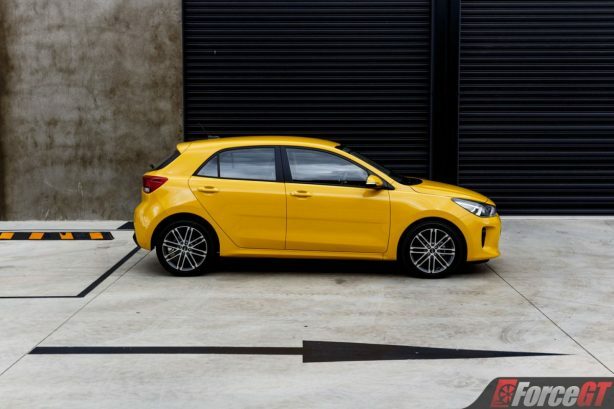 A light kerb weight of 1,132kg matched with marginally firm suspension leaves you feeling the larger bumps with the advantage of better handling on smoother roads, just watch out for those windy days as the little Rio is subject to move around a bit in the breeze. 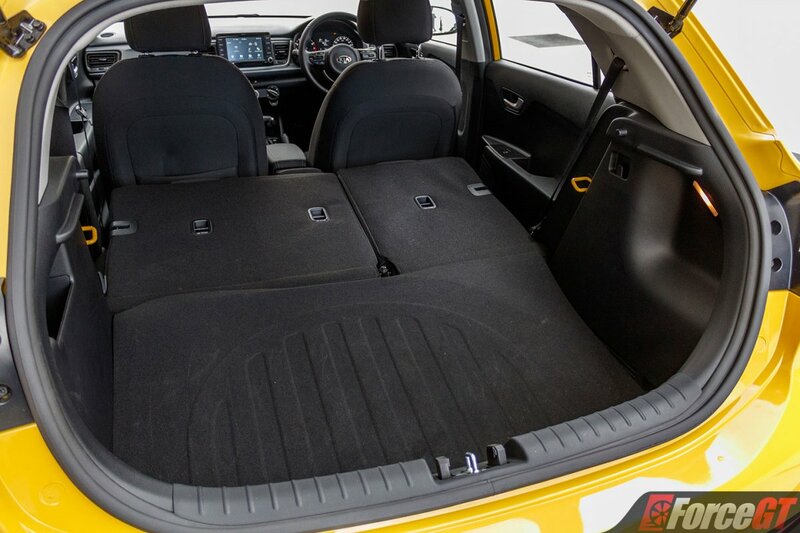 The safety conscious among you can rest assured that the Rio scores a full 5-star ANCAP safety rating with total of 6 airbags that include curtain airbags extending front to rear. 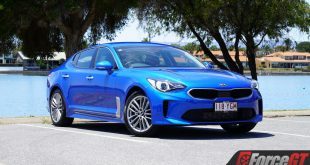 The more advanced safety tech is reserved for the top spec GT-Line and given the minor price jump could be worth making the financial stretch for a far better turbocharged engine, interior and feature line up. Kia has tweaked and added to the already well built Rio platform improving it for 2019 while keeping the price approachable enough to worry rivals. Stylish looks and solid value for money are sure to make the the Rio a viable choice for many first car buyers and the 7-year warranty with 1 year roadside assist further sweetens the deal. 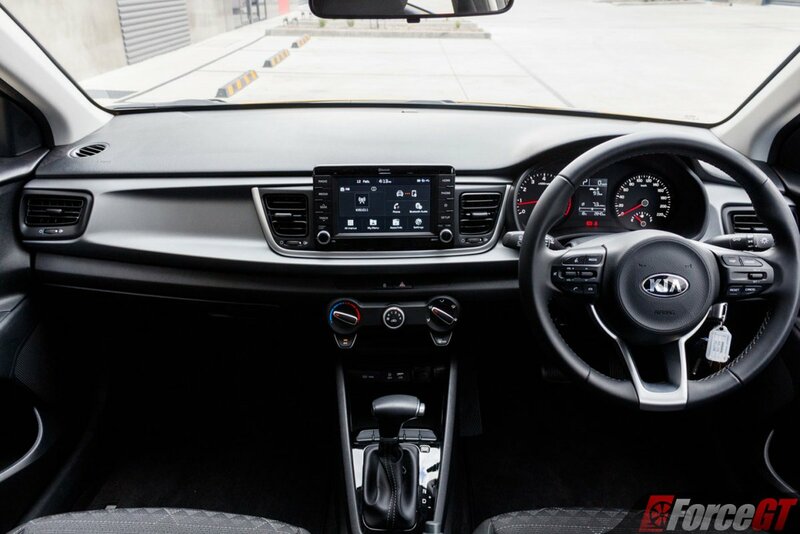 Safety 5-star ANCAP, 6 Airbags, Seatbelt Load Limiters & Pre-Tensioners (front), Reverse Camera, Hill Holder, Park Distance Control (rear), Anti-Lock Braking System, Brake Emergency Display, Brake Assist, Traction Control, Stability Control, Electronic Brake Force Distribution.